Another one bites the crust XD. . Wallpaper and background images in the The Heroes of Olympus club tagged: photo. I got my pizza face! 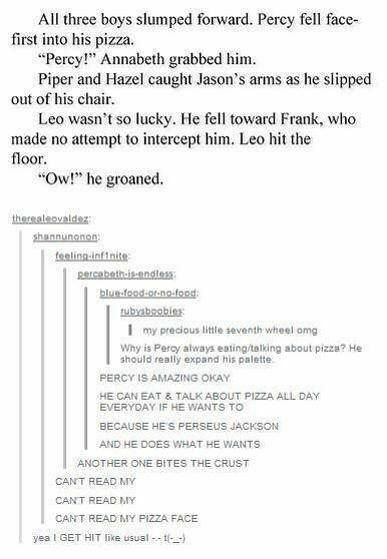 Percy looks up with pizza smeared across his face.